A GRIP ON SPORTS • Ever get up on a Sunday morning and wonder “what if?” No, not “what if” you had cut yourself off an hour earlier last night. The answer to that is simple. You would feel better. 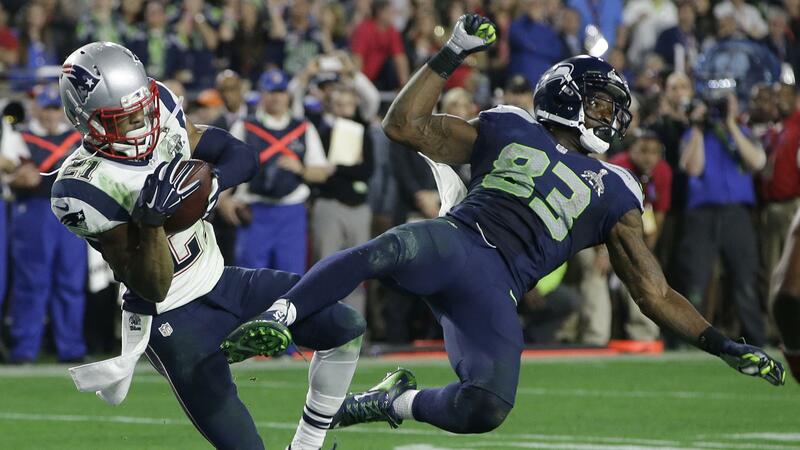 But “what if” the Seahawks had given the ball to Marshawn Lynch on the 1-yard line? That’s a little more complicated. Read on. • John Blanchette ponders the second one this morning, with this Spokesman-Review column. (He might be pondering the first question as well, though we’ll never know.) And it’s not easy trying to figure out what would have happened. Though John gives it the old university try. Instead of dwelling on that one play, the pass that shouldn’t have been thrown, I’ve always pondered another “what if” from that game. “What if” Cliff Avril hadn’t suffered a concussion? Avril was a defensive end possessed in that Super Bowl. He seemed to have made it is personal mission to remind Tom Brady he was human. While Avril was on the field, the Patriots’ offense sputtered and smoked. But after the veteran was injured, it came alive. There was a correlation. A strong one. I’m pretty sure if Avril had stayed healthy, the Seahawks wouldn’t have had to worry about scoring from the 1-yard line with seconds left. The game would have been over long before that. WSU: The Cougars had the day off yesterday but that doesn’t mean Theo Lawson doesn’t have something in the paper. Far from it. 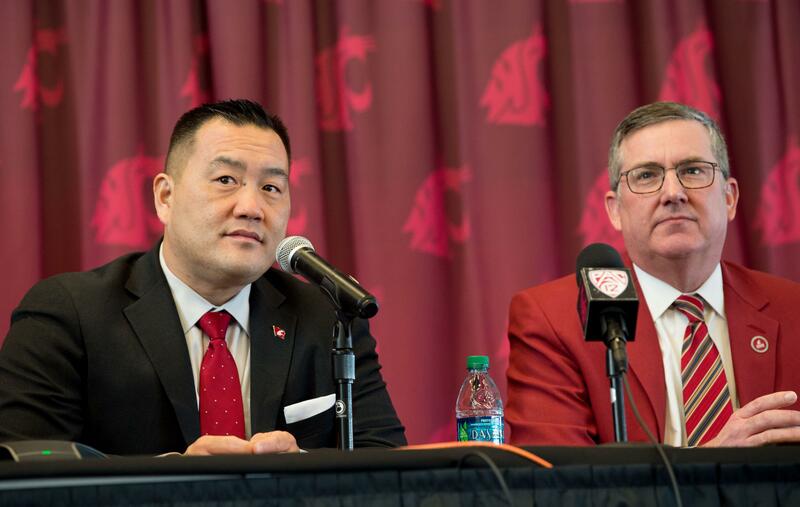 He has this in-depth look at athletic director Pat Chun and how his reputation as an excellent fund-raiser was built. … Elsewhere in the Pac-12, Washington’s offense finally got untracked more than a week into practice. And a former recruit showed up at Alabama. … Oregon State held its first scrimmage yesterday and the running game stood out. … Fathers are usually crucial in the development of football players, including this Oregon lineman. … Another California quarterback made his case to start yesterday. … Colorado has a new quarterback coach. … Utah’s wide receivers want to be seen and heard. … Maybe USC’s freshman phenom quarterback, J.T. Daniels, is that good. … UCLA is also trying to figure out who to start at quarterback. … Arizona State’s scrimmage was sloppy and marred by injuries. … Arizona has a new coach, sure, but it also has an old coach. … In track, something weird is going on at Oregon. Idaho: The Vandals held their first scrimmage of camp yesterday and Peter Harriman was there to see the large group of players who played on both sides of the ball. Sounds like an interesting experiment Paul Petrino has decided to cook up. CCS: The Sasquatch have hired an alum with just one year of high school coaching under her belt to be the head softball coach. Lindsie Scholwinski takes over the reins. Indians: Spokane’s newest pitcher made a great impression in the Indians’ 7-2 win at Boise. … Around the Northwest League, despite Robinson Cano going hitless, Everett defeated Eugene 7-0. Preps: Coeur d’Alene’s Little League all-star team defeated Montana 2-0 Saturday to advance to Williamsport. It’s only the second Idaho team to make the World Series. Mariners: For the third consecutive day in Houston, the M’s defeated one of the Astros’ all-star pitchers. Last night Wade LeBlanc outdueled Charlie Morton as the M’s picked up a 3-2 victory. Guillermo Heredia made one exceptional defensive play to preserve the win. … Dave Nichols takes up the Out of Right Field banner today and examines the Felix Rodriguez/Robinson Cano changes, issues the M’s don’t need to deal with right now. … Speaking of Felix, he still sees himself as a starter. Seahawks: George Fant may lack certain skills, but the tackle doesn’t lack confidence. … The Hawks made some roster moves yesterday. Published: Aug. 12, 2018, 7:22 a.m.